In this week's digital marketing news, Facebook users get a backstage pass to how ads are targeting them, call-to-action buttons are added to Bing ads, Snapchat turns into a Bitmoji gaming system, Greg orders 40,000 cucumbers from our local Walmart, and apparently whispering into a microphone is important for your brand... Read the full show notes at https://marketingoclock.com/facebook-ad-library-ep-64/. Kyle Pucko first got a taste for hard work at the age of 14 when he was hired to pick strawberries in his hometown. Those valuable lessons would stay with him all throughout college where his digital marketing career began to take form. From working as a tour guide and college admissions counselor, Kyle soon found himself running the digital marketing department at his school. Since then, Kyle has taken it upon himself to find the best and easiest solution for common everyday digital marketing problems. Kyle Pucko is currently the co-founder of GeoFli, a digital marketing agency that focuses on easily changing website content based on the users location. Read the full show notes at https://marketingoclock.com/off-the-clock-kyle-pucko/. Beginning as an engineer, Eric Enge slowly found his way into the world of SEO. Learning from his family of university professors, Eric developed an edge in the engineering industry which eventually led to his future career in marketing. But Eric's most notable award will always be winning the 1985 foosball world championship (Greg's dream). Eric Enge is a US Search Personality of the Year winner, Landy Awards: Search Marketer of the Year winner, co-author of "The Art of SEO", founder of Next10x Digital Marketing Conference, former founder and CEO of Stone Temple, and currently a general manager of Perficient Digital. Eric is also a contributor to Forbes, Search Engine Land, Search Engine Watch, Copyblogger, Moz, Marketing Land, and Social Media Today. Listen to his digital marketing journey on this episode of Off The Clock. Read the full show notes at https://marketingoclock.com/off-the-clock-eric-enge/. Joe Martinez’s digital marketing story began with him working his dream job as a professional radio DJ. Today, Joe is the Director of Client Strategy at Clix Marketing, a thought leader in the paid search space and a PPC innovator. Joe also writes and speaks for publications like Search Engine Land, Marketing Land, Word Stream, SMX, PPC Hero, Hero Conference, Quora, SEM Rush, Pubcon, and Unbounce. Listen now to the full story behind the drastic career changes that shaped Joe Martinez’s digital marketing journey. Today, Greg and Jess covered (really) big news about video becoming available on the Google Display Network, as well as the impending death of Google’s Average Position Reporting (RIP). They also cover digital marketing news varying from new call-only ads in Google, bulk ad editing in Quora, and a new Facebook Ads Manager (?!). All this, plus our WTH of the week: episode numbers in podcast titles are getting banned on certain podcast editors (Ep. 59 here, folks! ), and our Cool Tool: a tool that allows you to see SERPs from different countries and languages. Rae Dolan is the co-founder of PushFire, co-owner of AMI House Buying, co-owner of AMI Investments, and a real estate agent living out her passion. She's spoken at multiple events like Webmaster’s World, SMX, SearchHOU, Affiliate Summit East, LeadsCon, SEOClass Workshop Series, and has regularly written for Search Engine Land and Marketing Land. She's won multiple awards and is seen as a thought leader in the affiliate and SEO community. The first Reddit Ads update of 2019 is here and Greg and Jess have a few thoughts about it. Reddit has expressed their interest in offering more options for marketers but did this update miss the mark? This week, we're diving deep into what the update includes, how to navigate it, and how you should adjust your Reddit Ads campaign strategy moving forward. When the internet started to take off, Jon Henshaw was presented with an interesting opportunity. And, if he's learned one thing, it's to always take a great opportunity. Today, Jon works as a Senior SEO Analyst at CBS Interactive. Henshaw is also the founder of Coywolf Marketing, a provider of webmaster resources and digital marketing insights, and runs the Coywolf podcast. But every destination has a story. Listen in as we discover the path that led Jon to where he is now, what his failures taught him, and how he never lost his curiosity itch. Our second episode for Off The Clock, a new Marketing O’Clock segment where Greg interviews top leaders in the digital #marketing industry, is joined by Akvile DeFazio. Akvile currently runs her own agency, AKvertise, and is the author of her first book, "The Small Business Guide to Facebook Ads." She has over a decade of experience in the industry and has been a featured speaker at major marketing events including the Search Marketing Expo. Listen in to hear all about her advice and journey through the digital marketing world. Do you find yourself wishing there was a source where you could hear all the digital marketing news from the past week? Well, you’re in luck! On Marketing O’Clock our marketers give you the recap of all the latest happenings in the industry! On today’s episode, you will receive updates about Google's new features for retail advertisers, shopping from Instagram stories, Twitter trying to improve user experience and much more! Check out the vlog on our YouTube: https://www.youtube.com/channel/UCxm5P0CGF5510aYO3_fGesw?sub_confirmation=1 Blog: https://cypressnorth.com/marketing-oclock/googles-new-features-for-retailers-instagram-stories-shopping-and-more-marketing-oclock-22/ to view all the articles we talk about! Join us on Marketing O'Clock, where Greg Finn and Jenn Kaite give you this week's digital marketing news rundown LIVE from Cypress North! With news from Apple looking to expand advertising business, Bing Merchant Centers new Google Merchant Centers import tool, Google Posts updates and much more! Check out the vlog on our YouTube: https://www.youtube.com/channel/UCxm5P0CGF5510aYO3_fGesw?sub_confirmation=1 Blog: https://cypressnorth.com/marketing-oclock/apple-expands-advertising-business-facebook-removes-trending-marketing-oclock-21/ to view all the articles we talk about! Our marketers Greg Finn and Cole Soldwisch are back again this week to update you on all the digital marketing news that has been announced! We have news from Google testing ads in its app feed, Bing rolls out in-market audiences and much more! Check out the vlog on our YouTube: https://www.youtube.com/channel/UCxm5P0CGF5510aYO3_fGesw?sub_confirmation=1 Blog: https://cypressnorth.com/marketing-oclock/bing-in-market-audiences-google-feed-ads-marketing-oclock-20/ to view all the articles we talk about! We have a ton of stories for you on this episode of Marketing O'Clock! We have our marketers Greg Finn and Cole Soldwisch giving you the rundown on all of the digital marketing news of the week in five minutes or less! In this episode, Facebook expands Marketplace to home services, PayPal starts a deeper integration with Google and much more! Check out the vlog on our YouTube: https://www.youtube.com/channel/UCxm5P0CGF5510aYO3_fGesw?sub_confirmation=1 Blog: https://cypressnorth.com/marketing-oclock/paypal-teams-up-with-google-and-much-more-marketing-oclock-19/ to view all the articles we talk about! On today's episode of Marketing O'Clock, Greg Finn and Jess Budde will cover all the major updates that happened this week in the Digital Marketing Industry. There was a big Google announcement, along with some interesting news from Amazon! Check out the vlog on our YouTube: https://www.youtube.com/channel/UCxm5P0CGF5510aYO3_fGesw?sub_confirmation=1 Blog: https://cypressnorth.com/marketing-oclock/amazon-retargeting-ad-product-google-shorten-snippets-and-much-more-marketing-oclock-18/ to view all the articles we talk about! 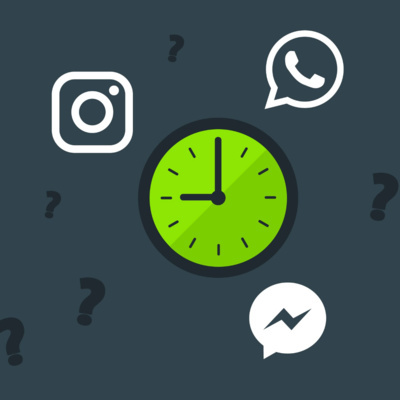 We have a lot to cover this week on Marketing O'Clock and our marketers Jess Budde and Jenn Kaite are going to give you the rundown on all of this week's digital marketing news. 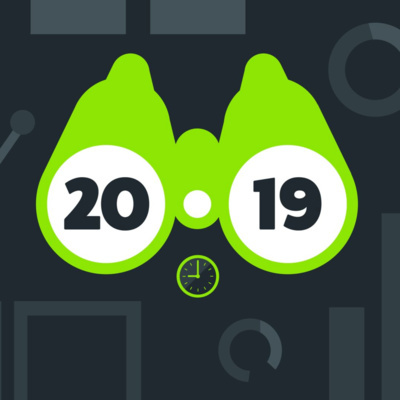 This week AdWords announces a new responsive search ad format, Google Maps redesigns the explore tab, Facebook adds new video metrics and much more! Check out the vlog on our YouTube: https://www.youtube.com/channel/UCxm5P0CGF5510aYO3_fGesw?sub_confirmation=1 Blog: https://cypressnorth.com/marketing-oclock/new-instagram-features-for-businesses-and-much-more-marketing-oclock-17/ to view all the articles we talk about! On this episode of Marketing O’Clock, Greg Finn and Jess Budde come at ya LIVE from The Cypress North Studios to give you the rundown on the digital marketing news of the week. From Facebook targeting updates to Snapchat’s new spectacles, we have a variety of stories to update you on! Check out the vlog on our YouTube: https://www.youtube.com/channel/UCxm5P0CGF5510aYO3_fGesw?sub_confirmation=1 Blog: https://cypressnorth.com/marketing-oclock/preparing-for-gdpr-broad-core-algorithm-update-marketing-oclock-ep-15/ to view all the articles we talk about! We have Greg Finn and Cole Soldwisch giving you this weeks rundown of all the digital marketing news. 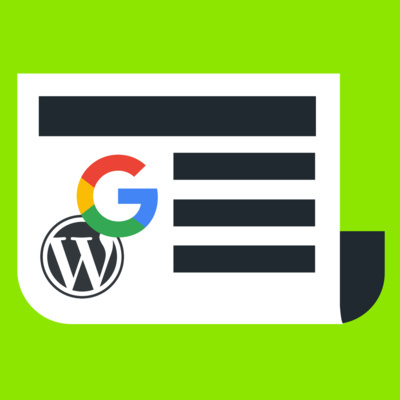 They share updates from Google’s new “outstream” video ads to some insight on the new GDPR policies and much more! Check out the vlog on our YouTube: https://www.youtube.com/channel/UCxm5P0CGF5510aYO3_fGesw?sub_confirmation=1 Blog: https://cypressnorth.com/marketing-oclock/adwords-releases-outstream-video-ads-new-facebook-video-format-marketing-oclock-ep-14/ to view all the articles we talk about! This week on Marketing O’Clock we GO LIVE! We have Jess Budde & Greg Finn giving you the rundown of all the digital marketing news of the week! In this episode they talk about Facebook making ads more transparent, Google testing a "More Results" button in search and much more! Check out the vlog on our YouTube: https://www.youtube.com/channel/UCxm5P0CGF5510aYO3_fGesw?sub_confirmation=1 Blog: https://cypressnorth.com/marketing-oclock/facebook-makes-ads-more-transparent-bing-price-extensions-live/ to view all the articles we talk about!